Dimensions 0.50 by 7.25 by 9.25 in. Perl & LWP includes many step-by-step examples that show how to apply the various techniques. Programs to extract information from the web sites of BBC News, Altavista, ABEBooks.com, and the Weather Underground, to name just a few, are explained in detail, so that you understand how and why they work.Perl programmers who want to automate and mine the web can pick up this book and be immediately productive. Written by a contributor to LWP, and with a foreword by one of LWP's creators, Perl & LWP is the authoritative guide to this powerful and popular toolkit. 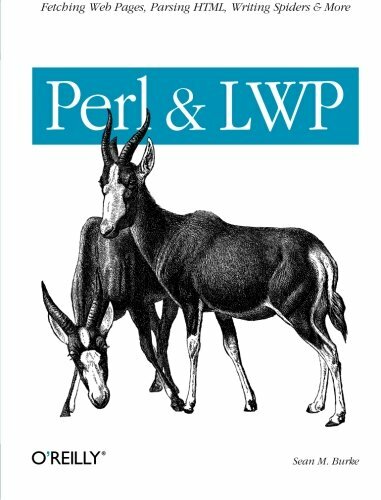 About: Perl soared to popularity as a language for creating and managing web content, but with LWP (Library for WWW in Perl), Perl is equally adept at consuming information on the Web.